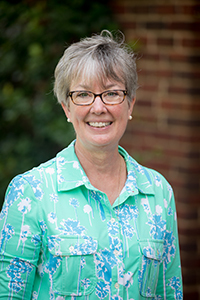 Prior to joining the faculty at Meredith College, Julie Kolb taught secondary mathematics in Wake County for 30+ years. She served as Mathematics Department chair for 21 years; she supervised and coordinated the teaching of 16-24 mathematics teachers each year. She was honored as Wake County Teacher of the Year in 1993, earned National Board Certification in 1998, and received the Presidential Award for Excellence in Mathematics and Science Teaching (PAEMST) in 2000. She has written curricula for secondary mathematics courses and, as a K-12 mathematics consultant, have developed and delivered professional development materials for NC mathematics teachers.